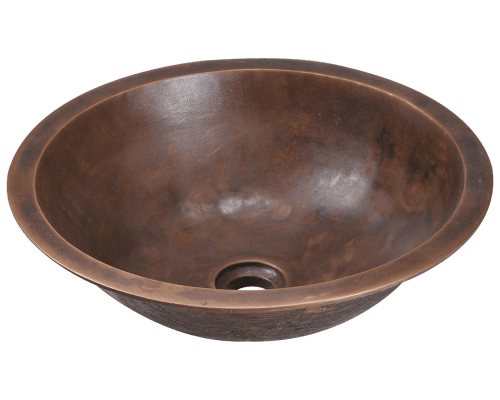 The bronze bathroom vanity sinks in the MR Direct collection are made from pure bronze and finished with an aged patina. 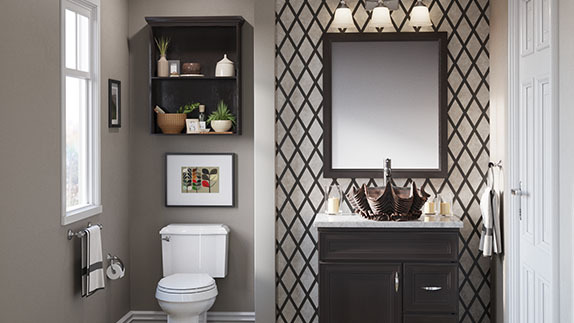 Unlike some manufacturers, no artificial resins or paints are ever used in the construction of our bronze lavatory sinks; only a true blend of copper, tin, and trace metals. The molten bronze is poured into our distinctive molds, and when set the mold is broken; giving birth to a new bronze vanity sink. After polishing, an initial patina is baked into the surface. 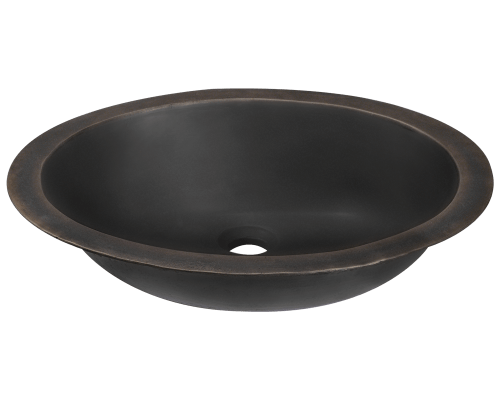 The styles of MR Direct bronze basins are abundant and found to be both functional and creative in their design. Some are simple round bowls with smooth finishes. Many have a classical appearance. Still others have a marine theme. Textures and the organic curves embellish their incredible appearances. Mounting approaches vary by model. 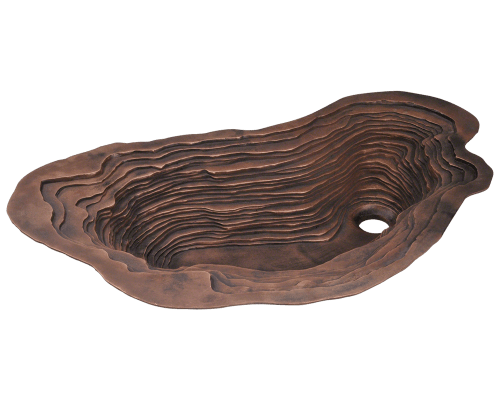 There are topmount bronze sinks, undermount bronze sinks, bronze vessel sinks, and even a few dualmount bronze sinks. No matter how it is installed, a bronze sink in the bath will garner people's attention. 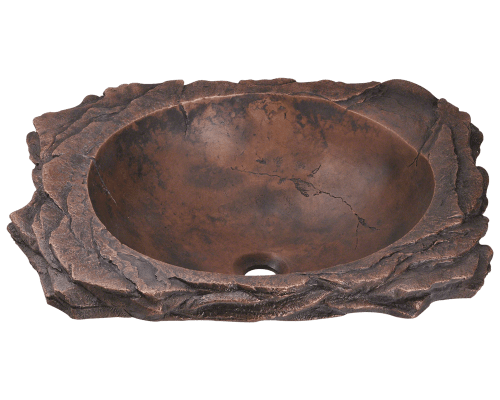 Initially, an antique-looking patina is baked into the bronze sink surface. 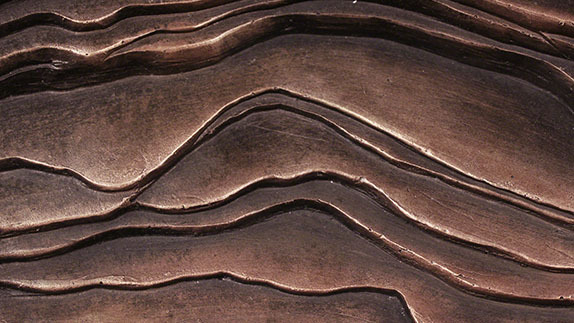 But like pure copper, bronze will continue to develop a natural patina which deepens over time. This ?living finish? 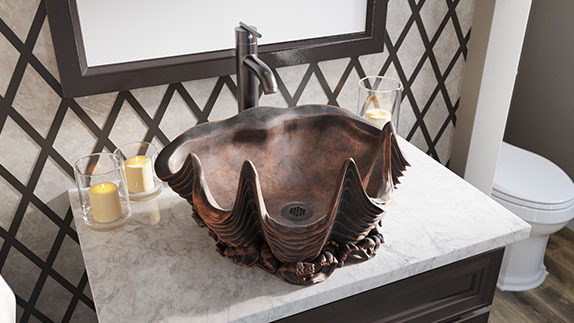 adds to the beauty of the sink by defining its details and enhancing its character. Bronze also possesses the innate ability to destroy bacteria, fungus and other pathogens on contact. 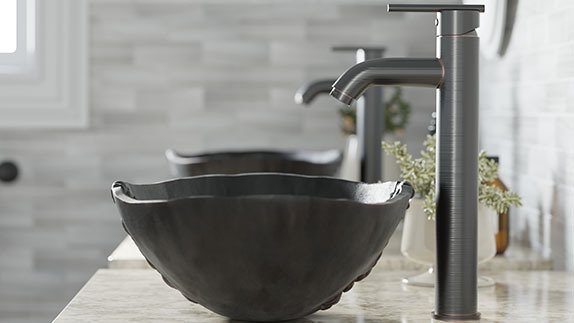 Polishing or abrasive scrubbing can strip a bronze sink of its hand-rubbed finish and patina. Use only mild soaps and water to clean. Although polishing isn?t recommended, you can wax your sink occasionally to maintain its luster and protect against water spots.